This is my No. 5 Value Pick for 2017. Let me be clear, I still believe 2017 to be a slow year for the property sector as a whole. Unlike some investors, I am not ready to call for a rebound of the property sector yet. 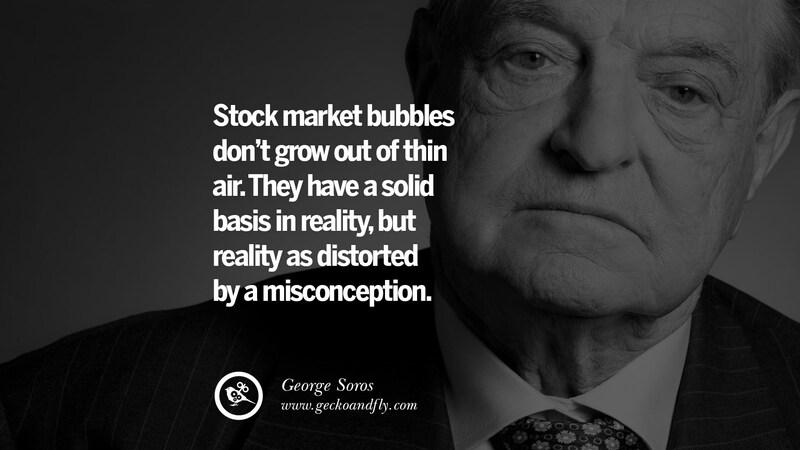 Many have asked me when I think the market will rebound, my view is 2018. To me, 2017 is likely to be the bottom. Having said that, Paramount Corporation Bhd is the first company in the property sector that I intend to call. While most of us can agree the property market is still in a doldrum, pockets of opportunities are starting to emerge. I like Paramount for many reason. Firstly, it is reputable brand with long established history having been a part fo the legendary business family in Malaysia, See Hoy Chan. It has its ups and downs over the years. Business wise, the management have been quite conservative and careful in their expansion. Recent years, ever since the change of the CEO to former OCBC CEO, Jeffrey Chew, Paramount navigated the slow property market steadily, started unlocking the value of its landbank and expanded their education business to improve the company cashflow in order to circumvent the property cycles. Looking at the 5 year chart from 2012 to 2016, Paramount topline and bottomline have been growing steadily. 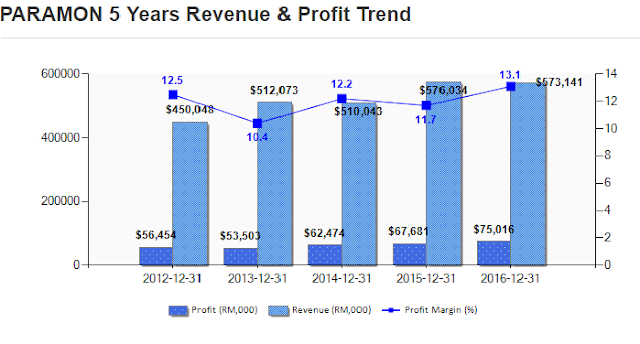 Revenue has been growing 5.8% per annum and profit have been improving around 7% per annum. For a property stock to maintain such a steady growth is truly remarkable. Additionally, the profit margin of the group maintains on an average 12% which is impressive. It tells a tale of strong management and efficient business strategy. I will elaborate further at the bottom. 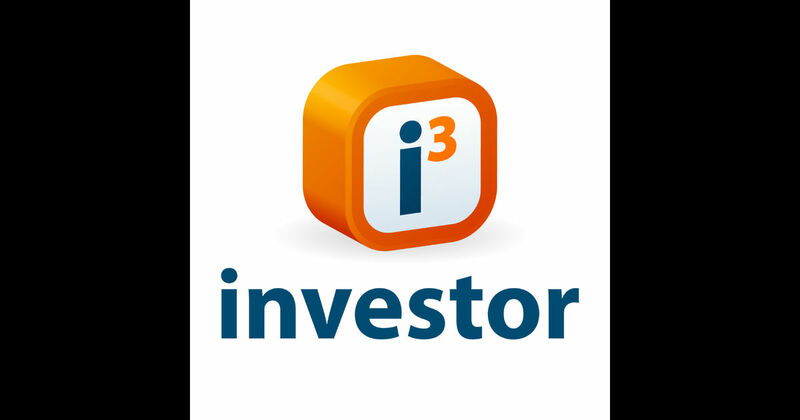 Most readers know I like dividend yielding companies regardless of what sector it may be. Lets look the dividend by Paramount of the past 12 quarters. Traditionally, dividends are declared at 2nd & 4th quarter of the year. What i like is the steady increment of the dividend every year to reward shareholders. 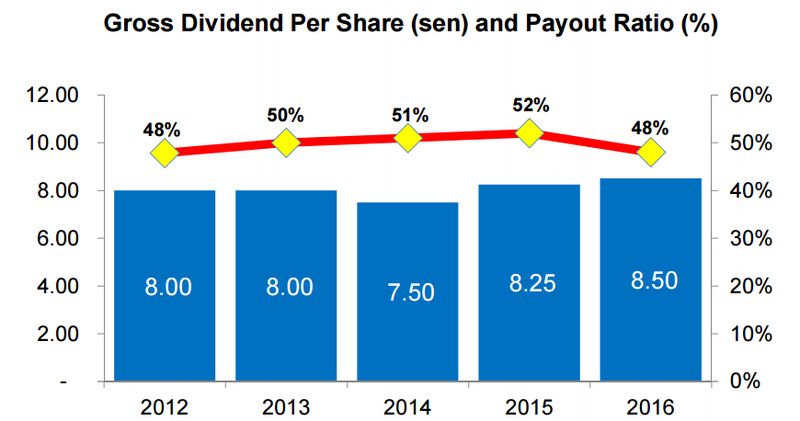 In 2014, the full year dividend was 7.5 sens, 2015 it was 8.25 and 2016 recently declared 8.5 sens. At current price of RM1.69, the DY of Paramount is 5%. Unlike other property companies such as Huayang, UEM, Tropicana, Paramount is but a handful of property company that manage to keep to their promise to continue rewarding shareholders through the property market's up and down. When we look at the results, we can see the property division is still the key contributor to the group with revenue at 73% and profit at 69%. 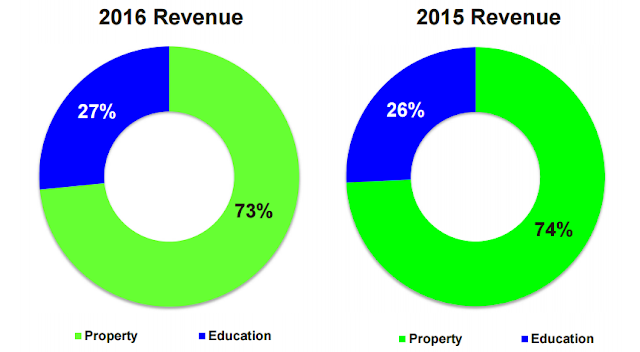 There is a slight improvement in 2016 in terms of revenue contribution from Education Division at 27%. 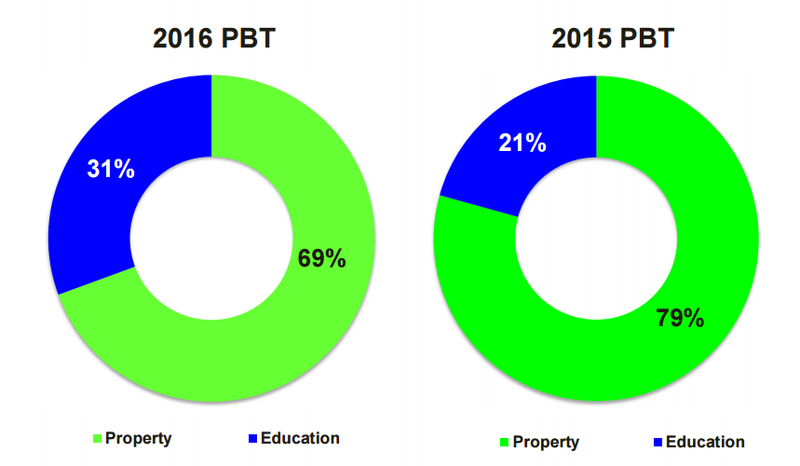 However, the big jump for Profit Before Tax of 31% stems partially from the realised gain of property disposal. 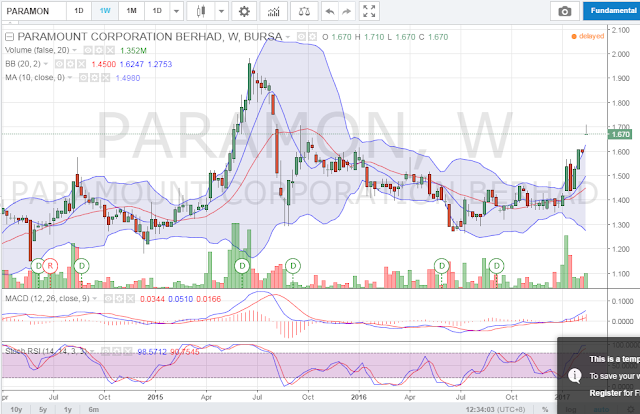 Nonetheless, we are seeing Paramount working hard to expand the education division to supplement the company's income. 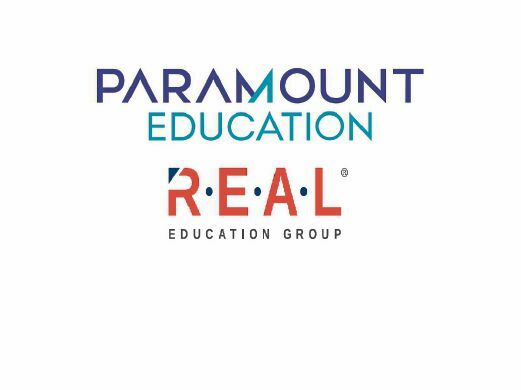 This can be seen from the recent acquisition of REAL Education Group by Paramount. Paramount acquisition of REAL education is synergistic as they adopted a textbook vertical integration of the entire value chain of education from Kindergarten to Tertiary. Apart from that, this long term business strategy will pay off especially by expanding their student database. Imagine, a child enrolled in REAL education which moves on to Sri KDU and finally KDU. Apart from the growth of student base, the teachers and educators would also be able to move from K12 education to Tertiary. Human resource and talent pool thus is expanded. Truly, this business strategy is brilliant. The 2017 prospects by Paramount looks promising as well. From the property division, they have steady pipeline of projects specifically huge townships like Utropolis Batu Kawan, Section 13, PJ Senior Living Concept, Bukit Bayan and Greenwoods Salak Perdana affordable homes amongst others. Given the management confidence of being able to deliver a comparable performance to 2017, I am pleased to continue to holding Paramount for mid to long term basis as I am very sure the share price will not stay at current level. Looking at the chart of Paramount, due to the recent good quarterly results, it broke out of RM1.60. Back in end 2015, it was as high as RM2. There is so much more upside especially since 2016 results is even better than 2015. 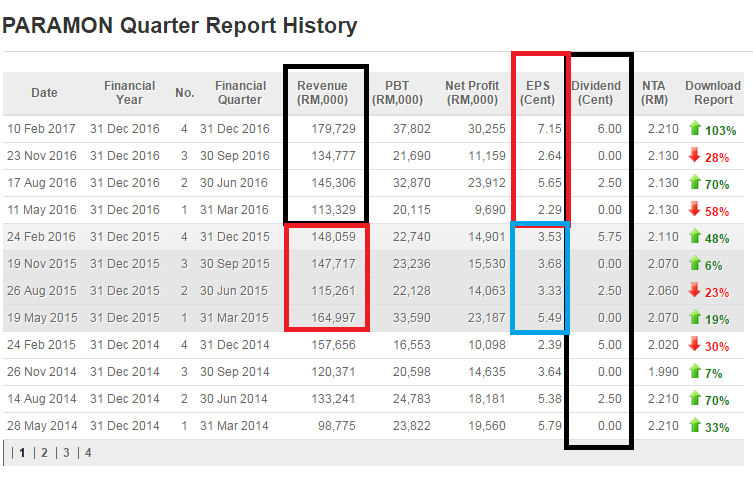 There is no reason Paramount cannot return to challenge its high of RM2 with sound business strategies, good dividend yield, steady uptrend earnings and solid management. 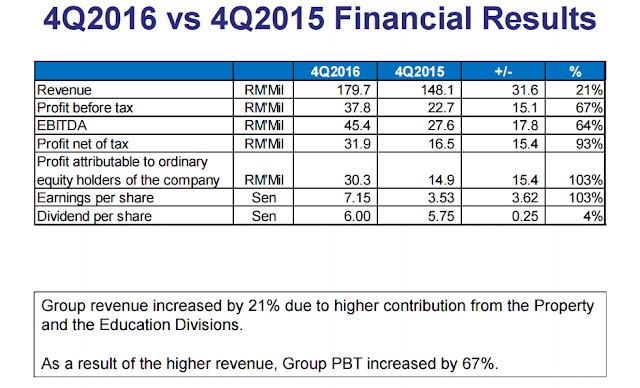 At current price of RM1.65, Paramount is trading at an undemanding multiple of 9.3x (excluding DY). With EPS total around 17.73 and applying a multiple of 11x taking into account of the education business expansion (KDU, Sri KDU and REAL Education), the fair value is RM1.95. For now, this will be my initial TP pending the observation of the growth of the education business.